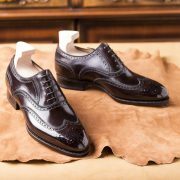 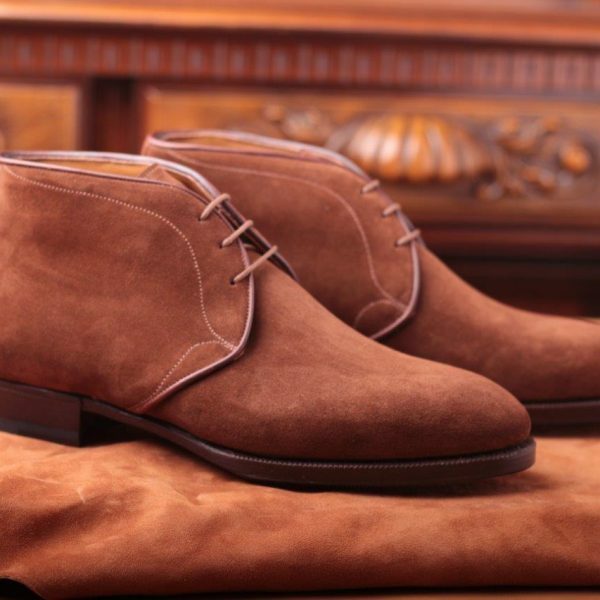 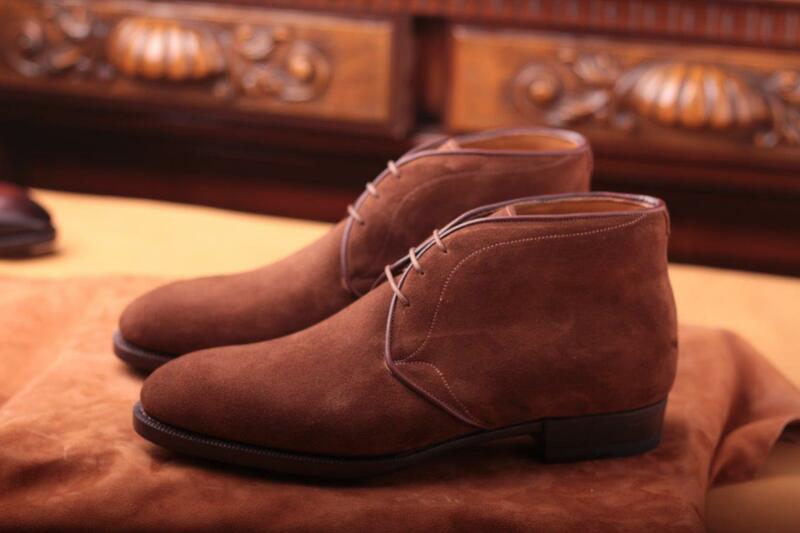 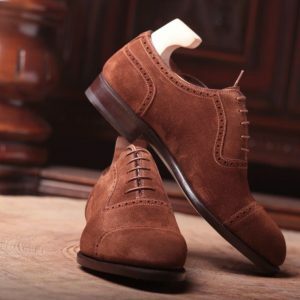 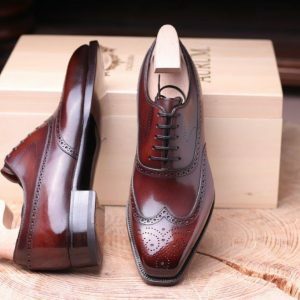 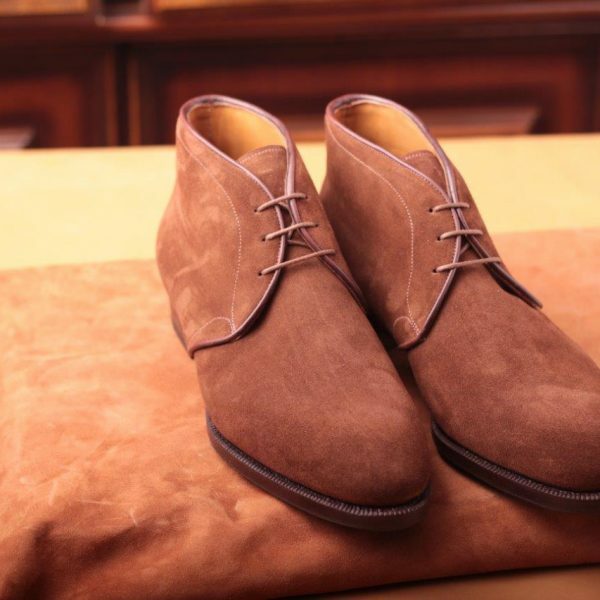 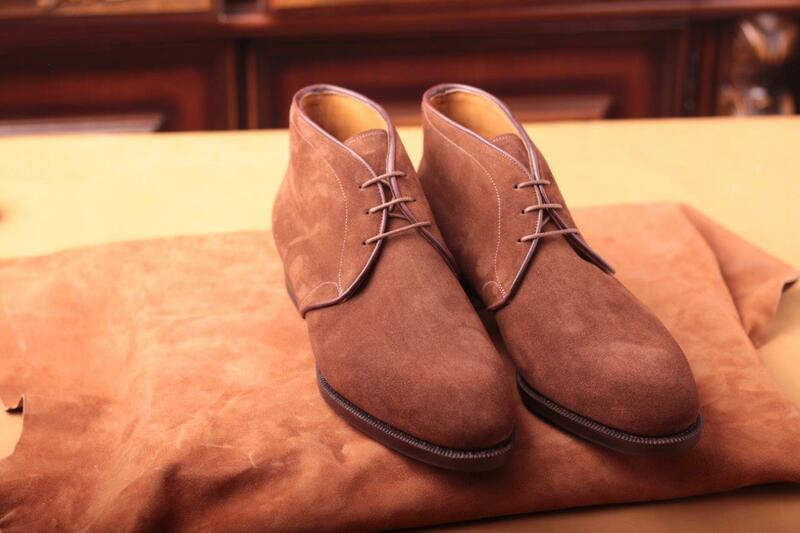 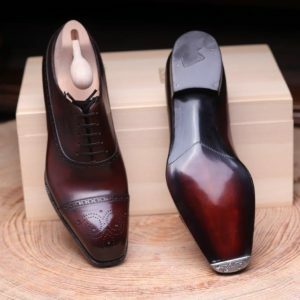 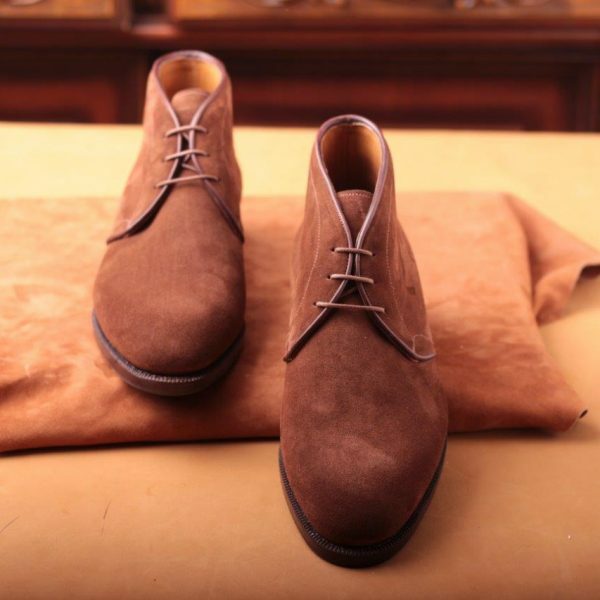 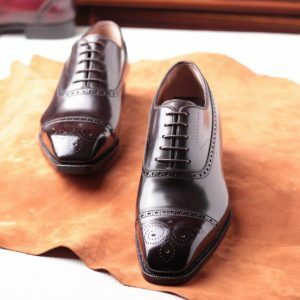 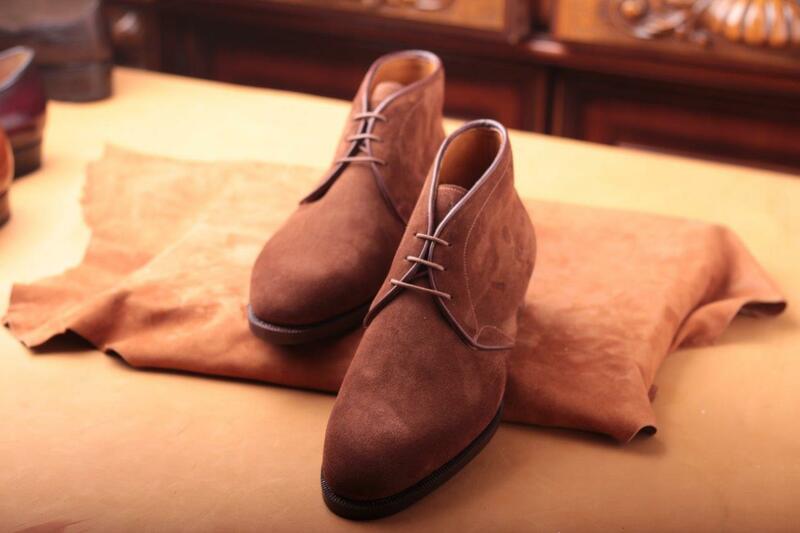 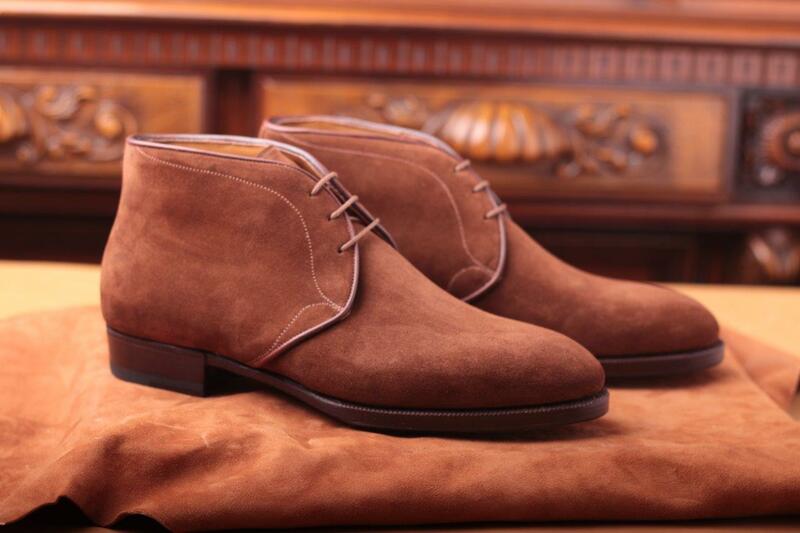 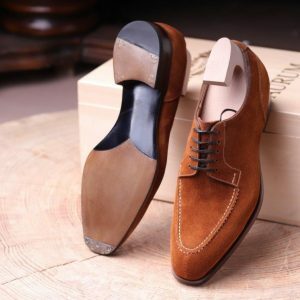 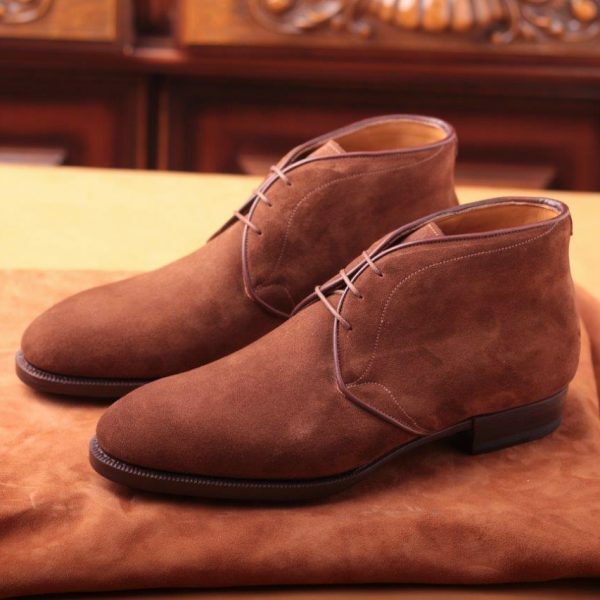 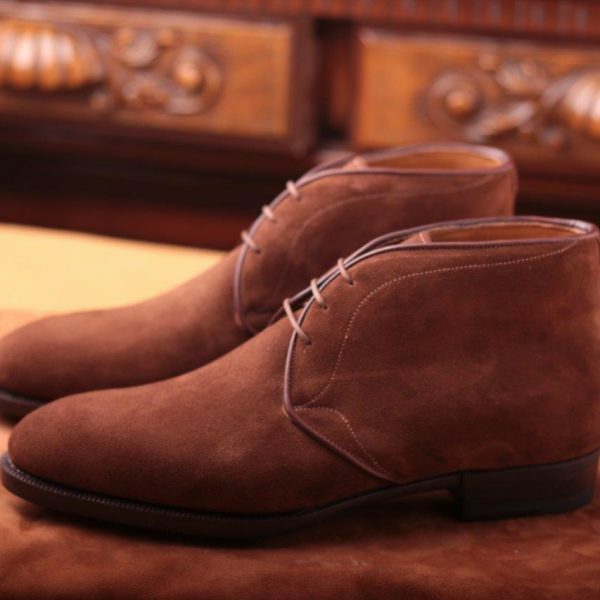 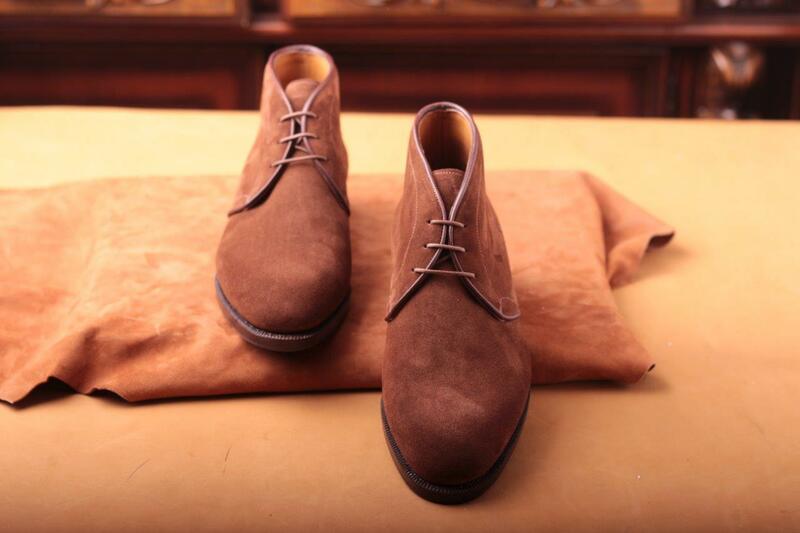 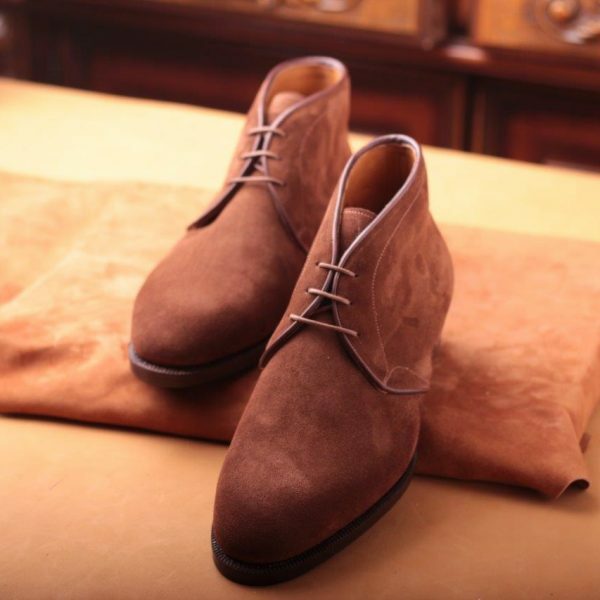 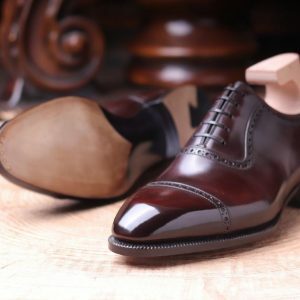 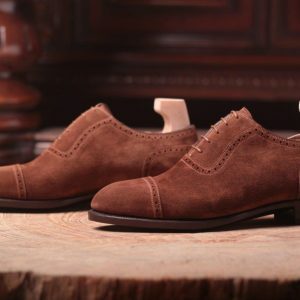 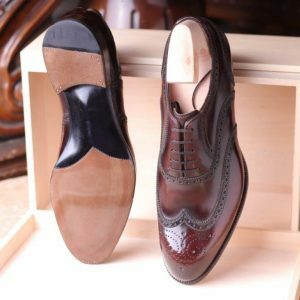 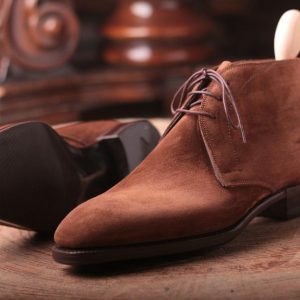 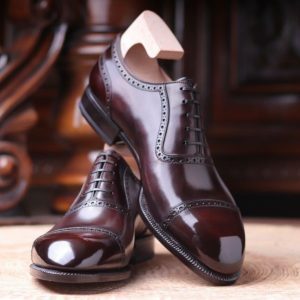 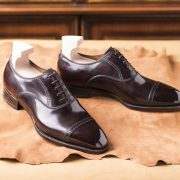 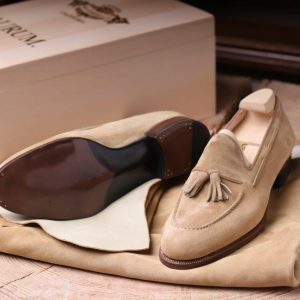 Fitting UK E (for size guidance, please click here) Last: Classic Round AA90 Made with calfskin suede Colour: mid brown with reddish highlights Construction: Welted with no gemming – for more information please read the Argentum RTW/MTO section. 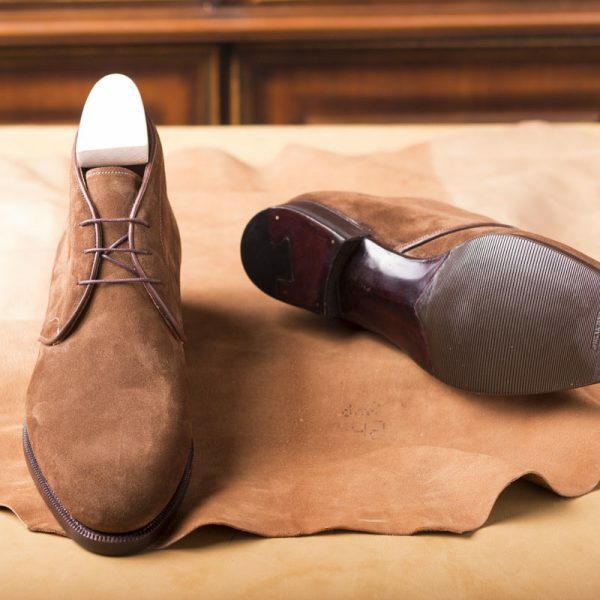 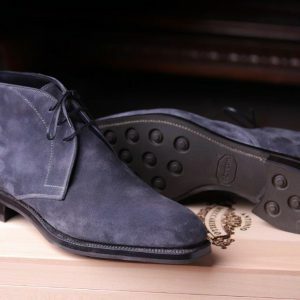 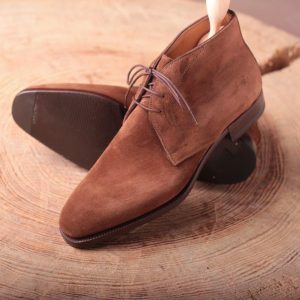 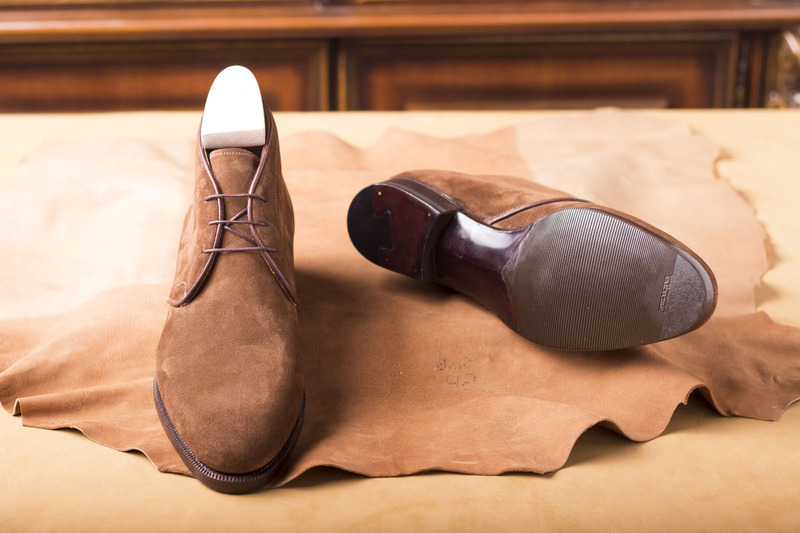 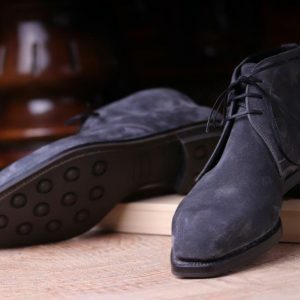 Handmade in Italy A slightly more elegant chukka boot made with full leather soles with a Vibram insert Stock shoes are made to a “E” fitting which is our Standard width, but can be ordered in different widths. 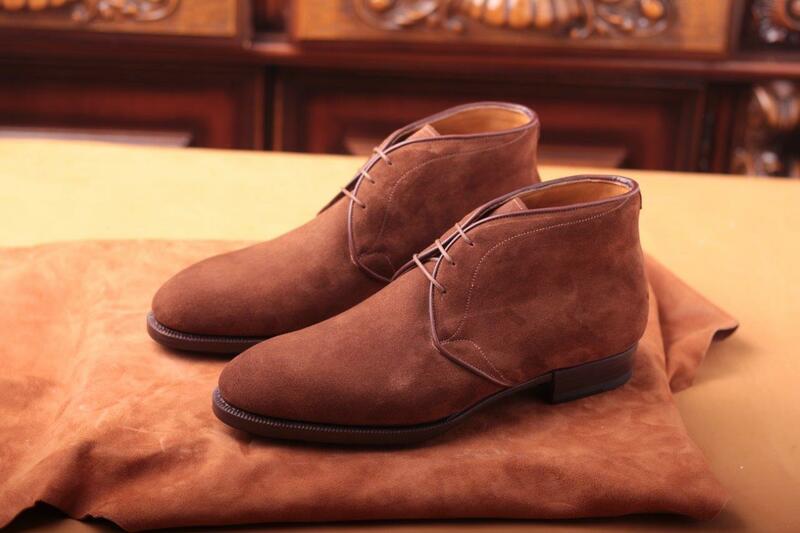 Our website detects from which country you located and presents the price accordingly. 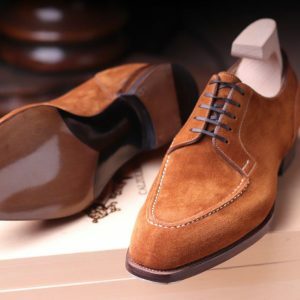 For EU based ip addresses, prices are displayed including VAT. 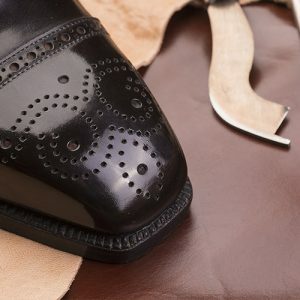 For all other countries, prices are presented without VAT. 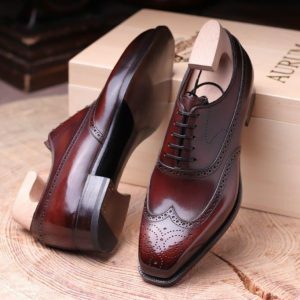 If the shipping address is different from where your computer is based, the website will automatically calculate the correct price upon entering the shipping address. 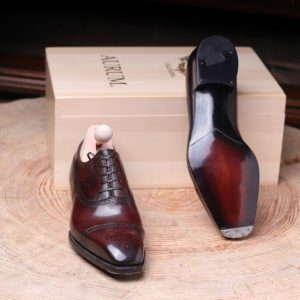 To personalize this model, please visit the Made to Order section.